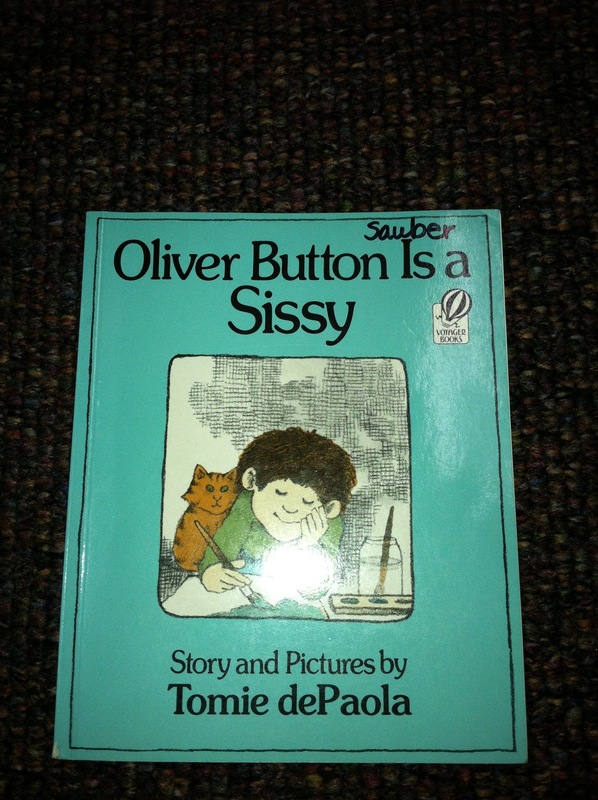 This week we read Oliver Button is A Sissy and recorded our connections to the story. 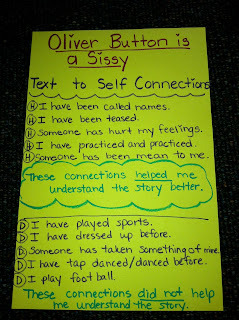 After recording our connections, we decided which connections were meaningful and helped us understand the story better. We labeled these with H (helped us) and D (did not help us). 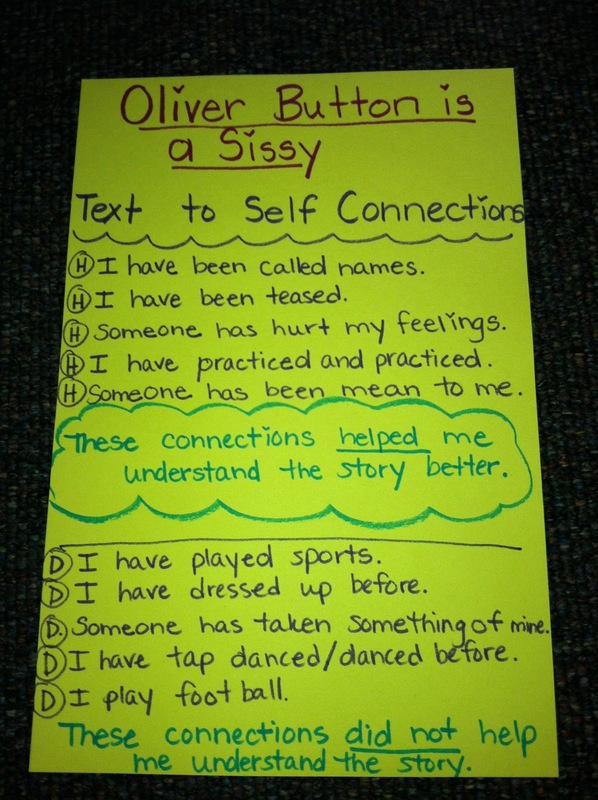 Take a peek at our learning.